Do you have dreams of writing a novel? Are you looking for structured guidance and encouragement to finish writing your novel? If so, dust off your drafts and get back in the game! November is National Novel Writing Month, better known as NaNoWriMo. 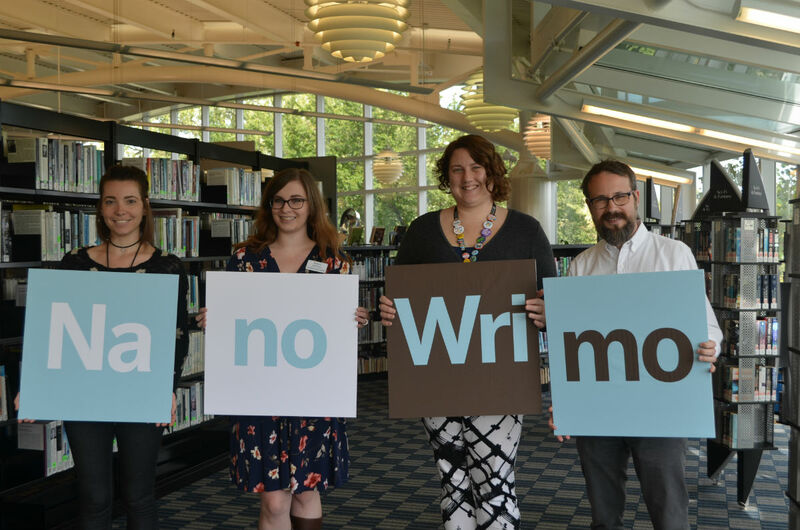 Now in its fourth year, the Northbrook Public Library continues the tradition of encouraging both experienced and novice writers toward the goal of writing a 50,000-word novel (roughly the length of The Great Gatsby) in a month by hosting weekly write-ins. NaNoWriMo is for anyone who wants to write a novel or is looking for a deeply satisfying creative writing challenge. Each year, hundreds of thousands of writers have achieved the notable feat of writing a 50,000-word story. NaNoWriMo participants can come to the library for writing tips, encouragement, and free snacks as they work on writing their novels. On Sundays in November from 2:00pm to 4:00pm, aspiring authors are invited to take part in our weekly write-ins, where we will provide writing prompts to help expand your storytelling skills. Write-ins are a great way to connect with other writers–or, "wrimos"–and find support as you take part in the NaNoWriMo challenge. While completing a 50,000-word novel is a lofty goal, it is attainable. NaNoWriMo is a worthwhile opportunity, particularly for aspiring novelists, says Fiction & Media program coordinator Caitlyn Hannon. Ready to get started? Sign up on the NaNoWriMo official website and mark your calendar for our NaNoWriMo Write-In meetups. For extra writing help, browse the resources for writers on self-publishing and explore free courses on Lynda.com such as “Writing Fundamentals” and other writing and publishing topics.